It wasn’t hot out there, despite the 3,000-degree pot of melted aluminum sitting behind Peeler Art Center Friday afternoon and well into the night. 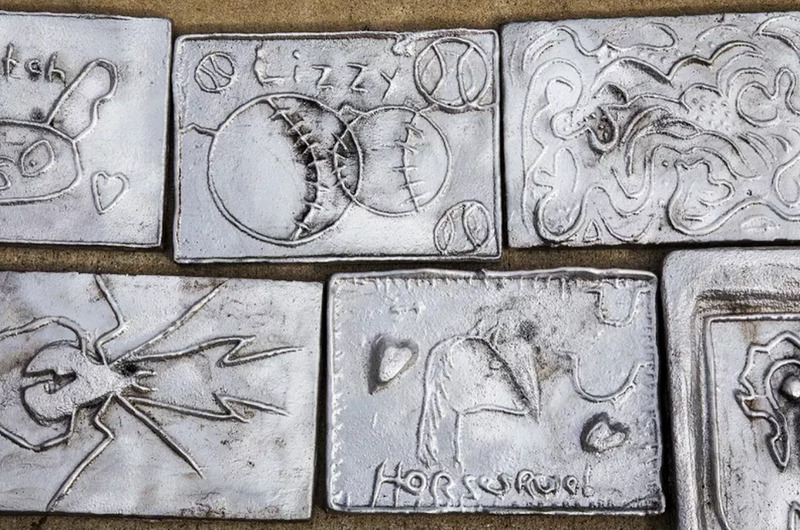 Though considered one of the oldest art forms, casting aluminum onto objects is now dying; however, volunteers at the Traveling Foundry plan on keeping this ancient art form around for a little while longer. This past Friday, members of the DePauw and Greencastle community had the opportunity to participate in the aluminum pour. 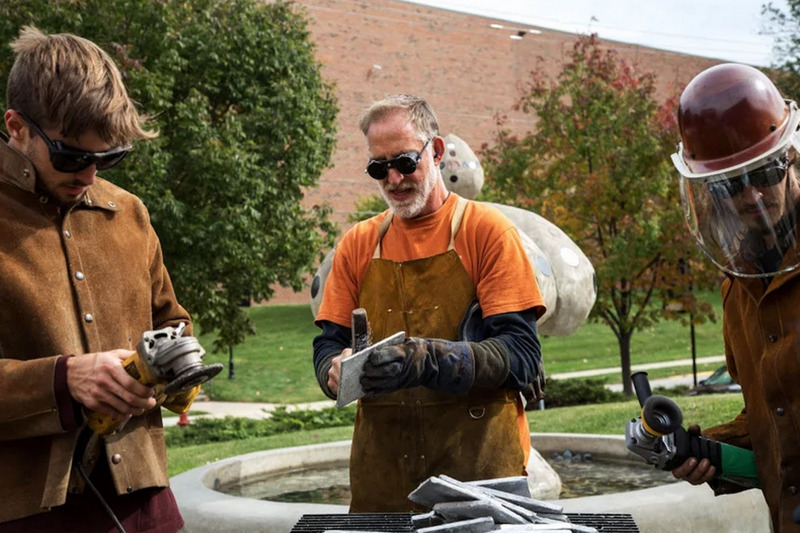 Led by Sculpture Trails Traveling Foundry and funded by the Public Occasion Committee, the Prindle Institute and the Norris Fund, the aluminum pour event returned after first being at DePauw ten years ago. Wildly successful in 2005, Friday’s event continued the trend as more than 200 members of the Greencastle community participated along with those at DePauw. 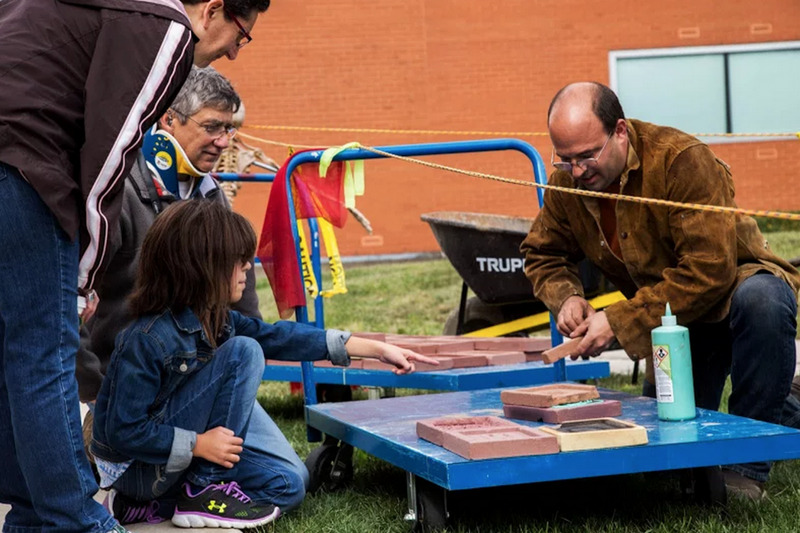 Indeed anyone could participate by going to one of the open-carving sessions at Peeler from September 21 through September 24, to carve out an original sculpture design into a sand block. An opportunity to carve was also available to the first 200 participants on Friday as well in case they were not able to make it to a previous carving session. Speaking before the pour, junior Elizabeth Netcher said she was “excited that all students got to participate and get something out of the pour.” Netcher carved a half sun and half moon face with the phrase “lived by the sun and loved by the moon” reading across the bottom of her tile. During the pour, those who participated as well as onlookers were able to watch the pouring process facilitated by the foundry’s volunteers. 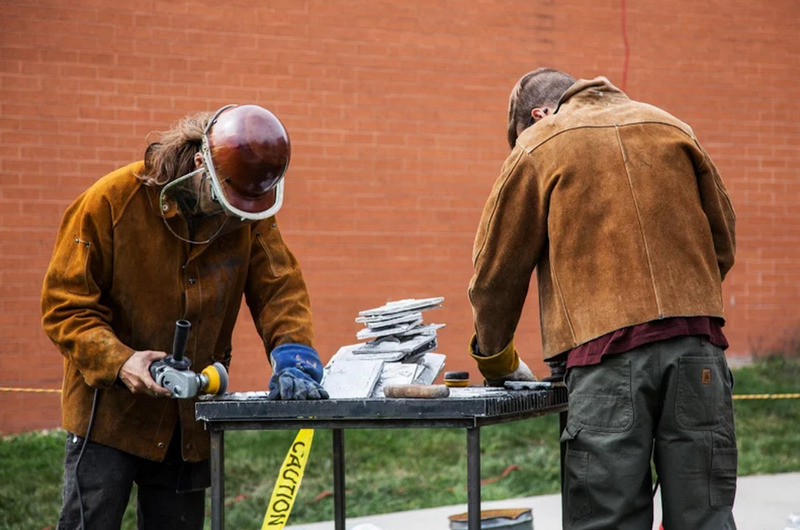 “I really enjoyed watching them pour the 3,000-degree liquid aluminum onto the mold,” said Crystal LaMar, who participated in the event for her first-year seminar, Materials of Art. The 100 percent recycled aluminum was melted right behind Peeler, then poured onto the different blocks. Afterward, each of the blocks was left to sit for five minutes to cool to a hardened state and then dumped into water to cool even further. LaMar also stated that it was exciting to see the tiles go from 3,000 degrees to 200 degrees in a matter of seconds when placed into the water because it left the water boiling. 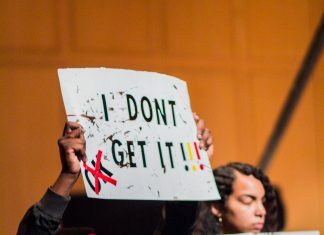 “Engaging in community art-making is one of the foundry’s passions,” Miles noted. Prior to the pour, the public had the opportunity to listen to and participate in an open discussion led by Sculpture Trails founder Gerry Masse. Titled, “Art, Matter and Art that Matters: Working in the Non-Profit Art Sector,” Masse discussed the Sculpture Trails and the foundry’s history along with the art community and sustainability. Masse described how the aluminum pour was originally an annual fundraiser for Sculpture Trails, a non-profit outdoor sculpture museum in Solsberry, Indiana; however, it has grown in popularity over the years. He described the community aspect of the Trails throughout and noted how the pour produces the same feeling. 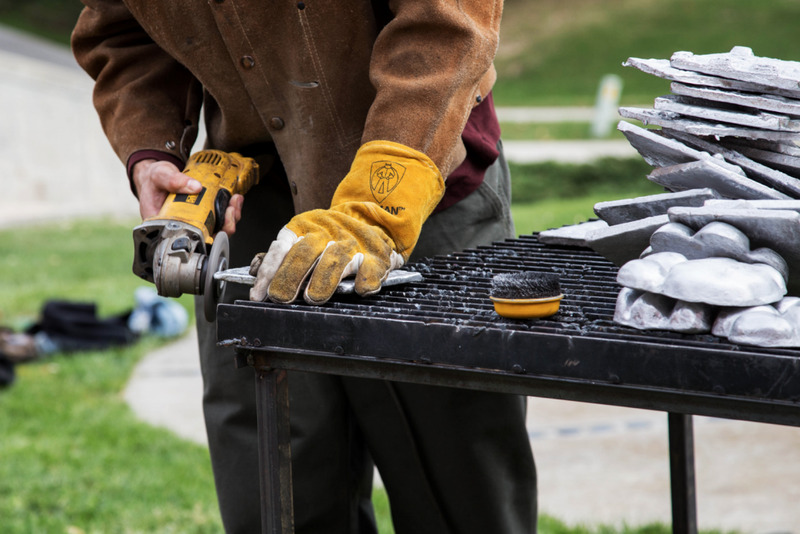 The aluminum pour, along with Masse’s discussion, was a great opportunity for the DePauw and Greencastle community to come together to enjoy a fun and interesting event.